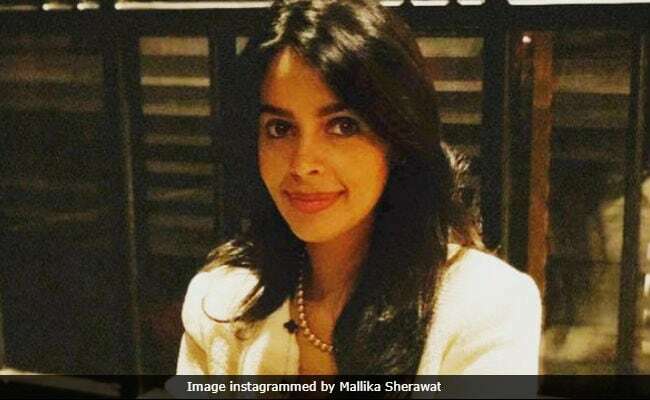 Mallika Sherawat On Reports Of Eviction From Paris Flat: "What Is This Nonsense?" Mallika Sherawat said: "I am staying in Mumbai. In fact, I recently shot for an episode of Entertainment Ki Raat (a reality television show) which was telecast last week"
Actress Mallika Sherawat rubbished reports of being evicted from a Paris apartment on Twitter and now, she told news agency IANS that she hasn't been to Paris in the last eight months and insisted that she doesn't own or rent an apartment in the city. "I have never had any financial dealings in Paris ever. I have no bank account in Paris. I have an Indian passport and I am an Indian citizen. So what is this nonsense about eviction?" she told IANS. "I am staying in Mumbai. In fact, I recently shot for an episode of Entertainment Ki Raat (a reality television show) which was telecast last week. I haven't been to Paris in the last eight months. Anyone following me on my social media would have known this. Even my passport would say the same," Mallika added. News agency AFP reported Mallika and 'her husband' Cyrille Auxenfans failed to pay over Rs. 59 lakh (78,787 euros) in rent. Of the Cyrille being addressed as her husband by the foreign media, Mallika told IANS: "I am not married to Cyrille Auxenfans. I have cleared the air on this earlier as well. He is a big businessman in Europe and I have nothing to do with his real estate business dealings. Why should my name be dragged with what's happening in Paris?" Last year, it was also reported that Mallika and Cyrille were attacked in the same apartment. Addressing this, Mallika said: "I was visiting Paris on a holiday at the time the unfortunate incident happened." Mallika Sherawat starred in films such as Murder, Pyaar Ke Side Effects and Double Dhamaal. The actress is currently in Mumbai for the shooting of upcoming Bollywood film Zeenat, directed by Saandesh Nayak.